Chances are you’re already doing a million different things. 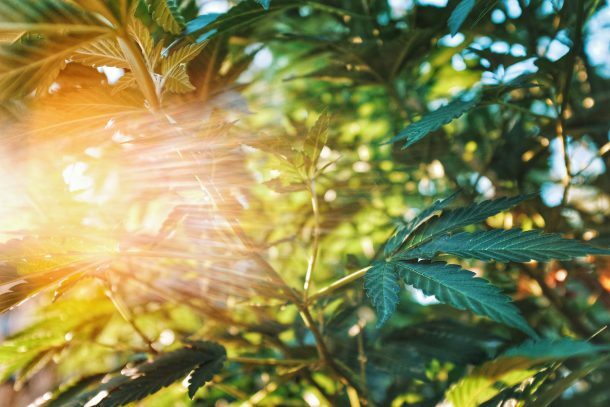 You’re debating on going legal, or you’re dealing with being legal, your light dep is coming in, and your irrigation lines are getting clogged, plus you’re thinking about going to one of cannabis events coming up. You’re busy, we get it. We want to make your life better so your brand lives long and prospers in this industry. Here are some quick tips covering the branding channels you’re probably already using. You use Instagram, right? If not, start. It’s one of the best and easiest (yes, something easy!) marketing tools for the cannabis industry. Everyone loves pictures of farms, beautiful green ladies, sticky buds, and rosin dripping like golden waterfalls. Here are a few tips on how to use it a bit better. Use the story feature. It’s a tool at the top of the app that gets your content in front of more people and creates a tighter bond with your followers. It allows you to post more personal, experimental, engaging or fun content. Plus because it’s always at the top it’s easier for people to see the content. Create a consistly interesting story and you will have a community of regular viewers looking for your story. If you have the option, use the ‘links’ feature in your ‘story’. Not everyone has this feature as only verified accounts have obtained it (although rumor has it Instagram will eventually roll it out to more people). Getting people from IG to a website has so far been very difficult, but with the links feature you’re able to share a specific URL, which could easily end up with more activity on your website. Interact more! When you get comments on your post ‘like’ them and if you feel like gaining more profile engagement then reply to as many comments as possible. Go through your feed, find and like pictures, and comment something relevant (not just a heart emoji). The more you interact with your community the faster your brand grows. We’ve taken Instagram accounts from 0 to 1,000 in less than six weeks by interacting more and leveraging community relationships. 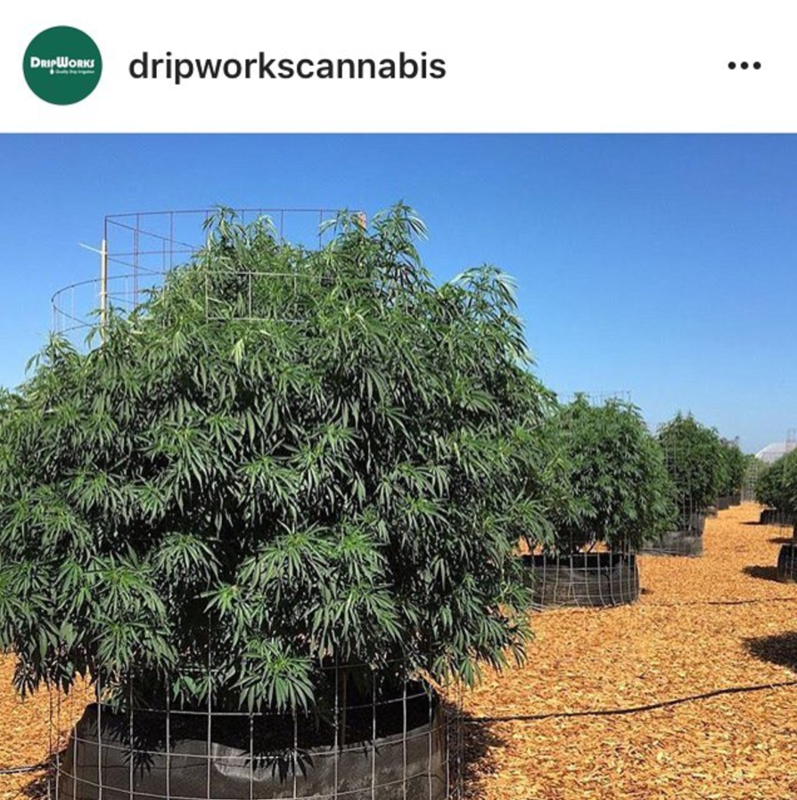 Check out @DripWorksCannabis to get a sense of what we did, and look for our upcoming case study to see exactly how we did it. Events are a cornerstone of building your business network. They’re always time-consuming, but they’re worthwhile. I grew up going to model train events, and cannabis events are helluva lot more fun. No one walked around in pasties at the train events (thank god), but you’d be surprised how many of the train nuts are stoners. Gather those emails. Email marketing is HUGE. MASSIVE. SUPER IMPORTANT. Don’t use email marketing yet? Doesn’t matter. Get those emails anyways. You’ll be able to use them later. How do you get them? Just ask. Have a piece of paper ready, write them down. Having a running email list on your phone, archive those email addresses because they will be useful. Give them some free schwag or offer a discount in exchange for email signup. Just get those email addresses! 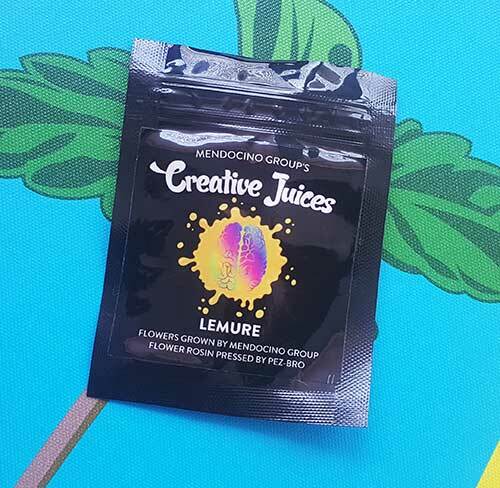 If you want to learn how to use those emails to build your business, your products, and your brand, read Launch by Jeff Walker (Click Here): It’s cheap and a quick read. I have a copy here at the office if you want to borrow it. Got a booth at an event? Figure out something that gets people to actually interact with your brand while at the event. Example: For The Amazing Doctor Zymes we created some big cutouts for the “Garden Naked” campaign we spearheaded. People put their heads in the cutouts and got their pictures taken, posted them on IG, and tagged @theamazingdoctorzymes. The cutouts helped spread the brand in a natural and fun way. Other ideas are scavenger hunts (which can be done via instagram), dab bars, simple games, and interactive displays. Have something for people to do and it gives the attendees something to share on social media and remember you by. Keep it simple! Your first goal is to attract attention. Once people come to your booth you want them to interact with you and your products. Your final goal is to either make a sale or get a connection (a follow on IG, or an email signup). Events are usually already crowded and filled up, don’t make it harder by having a booth that is confusing and overwhelming with too much going on, too much to look at, too much to take in, etc. 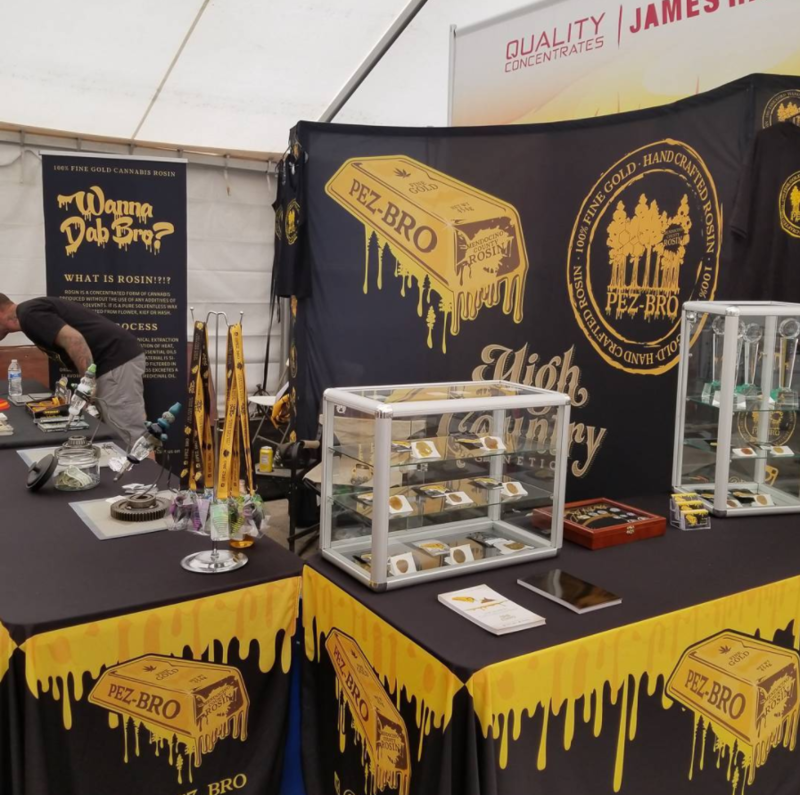 We’ve heard people say that at cannabis events especially, things gets overwhelming and many times they’ve just walked away from booths that were just “too much”. In an industry where “bag appeal” has been important for so long it’s crazy how many of us are missing the target when it comes to our packaging. This is potentially the first interaction your customers will have with your brand, don’t let your packaging be your Achilles’ heal. Stop printing your own labels. The at-home inkjet printed labels are not charming, quaint, or pleasant in anyway. They cheapen the quality of your product. Invest in high-quality containers and stickers. Spend a bit of extra money and have them professionally designed. The whole process costs less than you think and it has a big impact on sales, getting into dispensaries, your social media, and your business in general. Do the packaging right and it can become a powerful tool to expand your brand. The Cost: a little extra upfront. The Benefit: people remember, recognize, purchase, and relate to your brand. Add a call-to-action on your packaging. What’s a call-to-action? It’s like a campaign to boost your brand. Add your Instagram name, website, something that lets people know that you want to connect and interact with them. If possible, add some incentive such as contests, discounts, etc. You always want to be building and improving your relationships with your community. If you support and value your customers, your community, they do the same for you.